Join us for a very special VR Experience. We will be exhibiting two experiences on Sunday, March 10th from 10am - 2pm. Join us on a journey through the Coral Triangle and its magnificent coral reefs. These underwater gardens boasts the largest biodiversity of life on Earth, but as the planet keeps warming, our oceans are changing. Coral bleaching, ocean acidification, overfishing and pollution are threatening the world’s coral reefs and their fragile ecosystems. Experience the underwater world and learn about about today's urgency to protect our reefs. 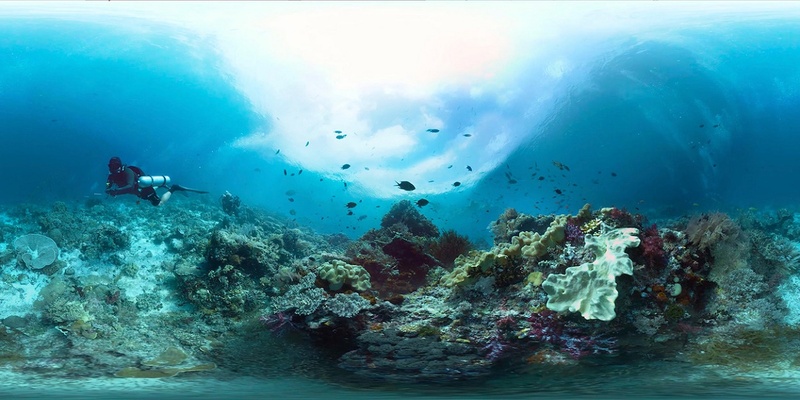 Immerse is a live-action 360º 3D journey that takes you to the tropical Pacific, where you explore coral reefs, see manta rays do back-flips, watch sharks glide by, and join scientists as they study how the reef is changing. The VR films are free and open to the public. No ticket is required, but space is limited and is on a first-come first-served basis. Running time for the VR program is approximately 20 minutes.